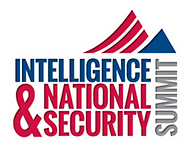 As Summit 2018 planning begins, you may receive solicitations from publications and vendors that are not affiliated with AFCEA International or INSA. Please be advised that AFCEA nor INSA sell exhibitor lists or contact information to anyone. This information is securely provided to Summit Official Contractors to inform exhibitors of show related services. Solicitations from unofficial vendors are often the result of obtaining public information from the Internet. AFCEA partners with select vendors to produce our premiere conference and expo and can intervene on your behalf if any customer service issues arise. Exhibitor Service Manual Floor Plan Exhibitor List Rules and Regulations Why Exhibit at The Summit?